Hello and Welcome to our preview for Rajshahi Kings vs Rangpur Riders match. 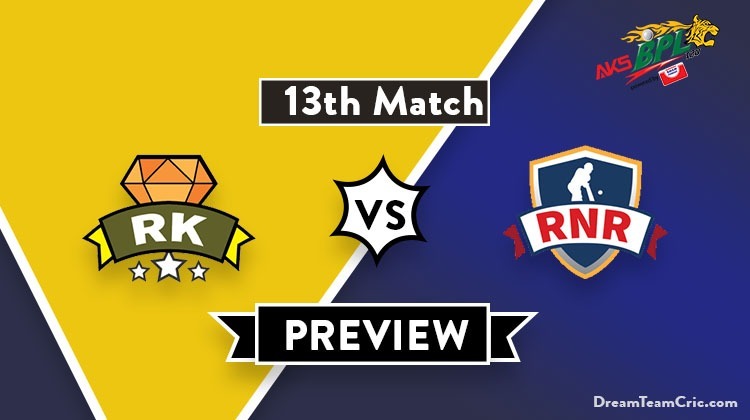 We are covering RK vs RNR Dream11 Team Prediction, Preview and Probable Playing XI for the Bangladesh Premier League 2019 match. The match is to be played at Shere Bangla National Stadium. Rajshahi Kings have won one and lost two encounters yet in the season. They lost their last match to Comilla Victorians by 5 wickets. Batting first, Mehidy Hasan gave a good start to the team scoring 30 runs in 17 balls and were later supported by Zakir Hasan and Isuru Udana to lead the team to a mediocre total of 124 runs which was easily chased by Victorians. Qais Ahmed, Mustafizur Rahman and Mehidy Hasan were the positives with the ball. A unison effort will be expected from all players in upcoming matches. Rangpur Riders are second on the points table with two wins and two losses. They lost their last match to Dhaka Dynamites by 2 runs. Bowling first, Shaiful Islam took a three-wicket haul whereas Sohag Gazi and Benny Howell took two wickets each to restrict Dhaka at 183. Rilee Rossouw was at his attacking best in the chase scoring 83 runs in 44 balls and was supported by M Mithun who scored 49 runs but were left behind by just two runs. They will hope to give a tough challenge to Rajshahi Kings. 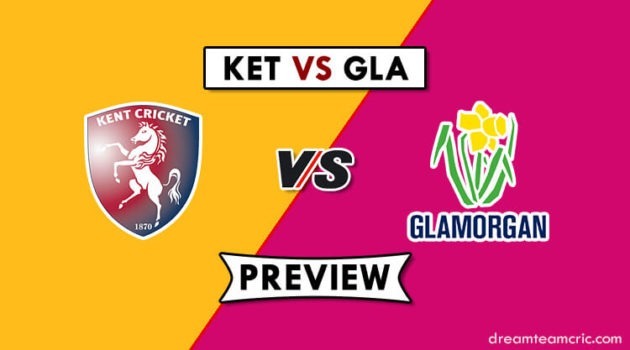 RK vs RNR, 13th match, Bangladesh Premier League 2019. Mehedi Hasan (c), Alauddin Babu, Soumya Sarkar, Arafat Sunny, Mominul Haque, Kamrul Islam Rabbi, Mustafizur Rahman, Zakir Hasan, Christiaan Jonker, Qais Ahmad, Fazle Mahmud, Isuru Udana, Laurie Evans, Marshall Ayub, Ryan ten Doeschate, Seekkuge Prasanna, Shahriar Nafees, Mohammad Hafeez. Alex Hales, Mashrafe Mortaza (c), Rilee Rossouw, AB de Villiers, Nazmul Islam, Chris Gayle, M Mithun, Fardeen Hasan, Shafiul Islam, Sheldon Cottrell, Sohag Gazi, Farhad Reza, Mehedi Maruf, Ravi Bopara, Nahidul Islam, Abul Hasan, Benny Howell, Nadif Chowdhury, Sean Williams. Ryan ten Doeschate can replace Laurie Evans in the playing XI. Shahriar Nafees can also play in place of Fazle Mahmud. Mehidy Hasan and Mominul Haque will open the innings. Mohammad Hafeez, Soumya Sarkar and Zakir Hasan will follow them. Mustafizur Rahman and Isuru Udana will be the key pacers while Mehidy Hasan, Qais Ahmad and Arafat Sunny will lead the spin attack. Soumya Sarkar can bowl few overs of medium pace while Hafeez and Monimul can spin the ball well if needed. They are likely to go with same playing XI after a perfect outing in the last match. Talented Ryan ten Doeschate can also get a chance in the playing XI in any match. AB De Villiers is expected to join the squad in the mid of season. C Gayle and M Maruf will open the innings. Rilee Rossouw, Mohammad Mithun and Ravi Bopara will follow them. Benny Howell will play the role of an allrounder. Mashrafe Mortaza, Farhad Reza, Benny Howell and Shafiul Islam will be the key pacers while Sohag Gazi and Nazmul Islam will lead the spin attack. No changes are expected in their playing XI. These matches can be risky as in BPL any player can be rested in any match. Mominul Haque, Mehidy Hasan (c), Mohammad Hafeez, Soumya Sarkar, Laurie Evans/Ryan ten Doeschate, Zakir Hasan (wk), Fazle Mahmud/Shahriar Nafees, Isuru Udana, Qais Ahmad, Arafat Sunny, Mustafizur Rahman. They can shuffle their batting order. Chris Gayle, Mehedi Maruf, Rilee Rossouw, Mohammad Mithun (wk), Ravi Bopara, Benny Howell, Farhad Reza, Mashrafe Mortaza (c), Sohag Gazi, Nazmul Islam, Shafiul Islam. S Sarkar can be good option in place of I Udana or S Islam. Captain and Vc choices: Mehidy Hasan, M Hafeez, C Gayle, R Rossouw, Mustafizur Rahman. 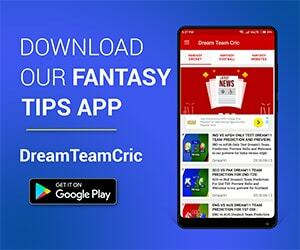 If you liked RK vs RNR Dream11 prediction, then follow us on Twitter for Latest Cricket News and Grand League Teams.